Guess who’s in a Sailor Moon mood lately? If you guessed me, you’re correct! 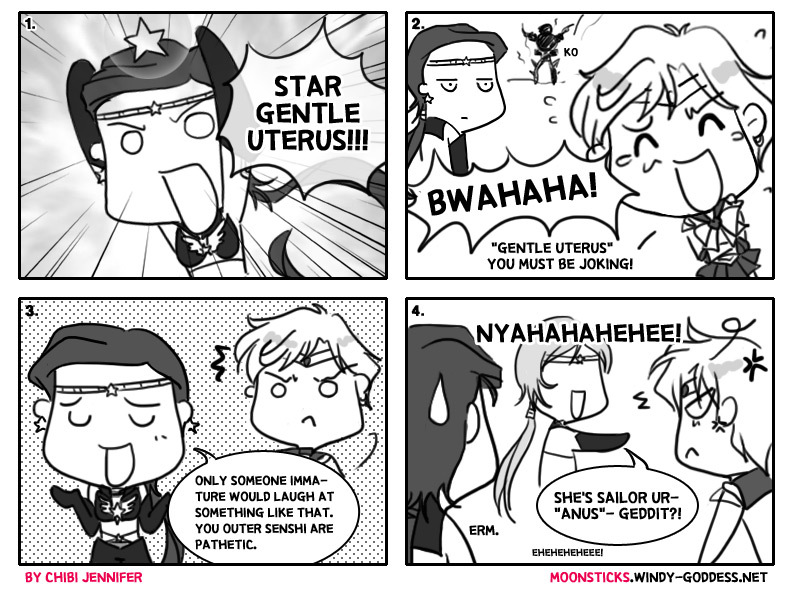 Today’s Web Crush is one of my favorite Sailor Moon fan projects: Chibi Jen’s parody comic MoonSticks! If you’re the kind of viewer who watches a show and constantly finds yourself thinking “How is no one seeing the simple solution here? 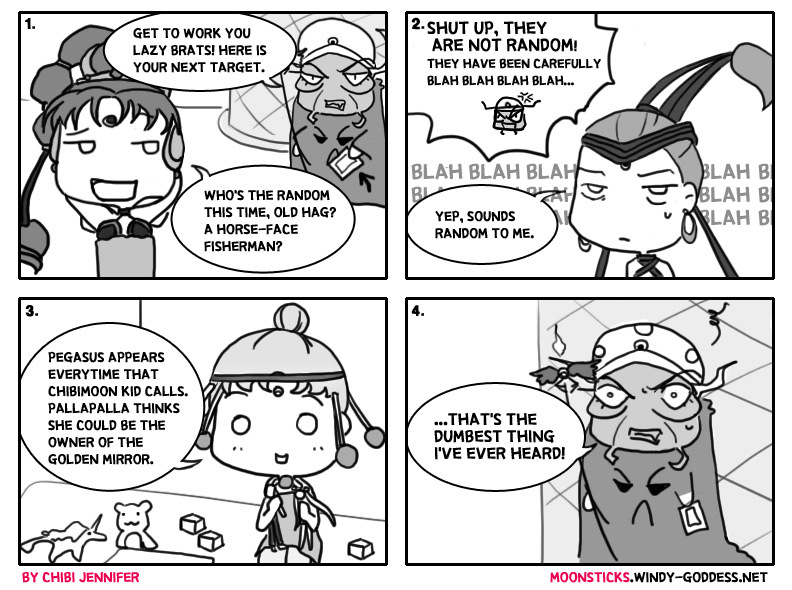 ?” chances are you’ll find many of your complaints addressed in these comics. For example, why did so many secondary characters disappear in the later seasons and why did no one seem to notice they were gone? The comics don’t only exploit the illogical aspects of the story, despite there being ample material for that. 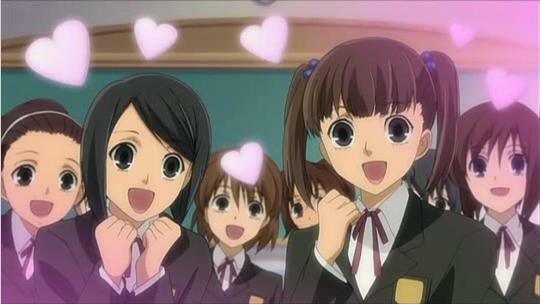 Sometimes they just take humorous looks at situations or characters from the series. I love these comics. Not only are they funny and clever, the artwork is really cute and I never get tired of reading and re-reading them. New ones aren’t produced very often, but if you’re interested in keeping up with them, you can like the Facebook page or follow Chibi Jennifer on Tumblr. 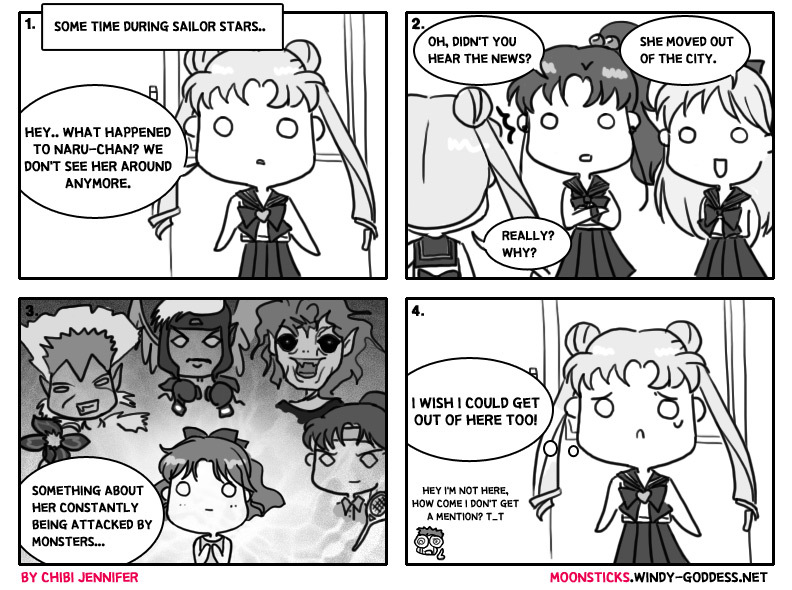 This entry was posted in Anime, Art, Manga, Sailor Moon, Web Crush Wednesdays and tagged Chibi Jennifer, fan comic, Fanart, MoonSticks, Webcomic by Fiyero3305. Bookmark the permalink. Thank you so much for plugging MoonSticks here <333 I really appreciate it 😀 You are awesome!